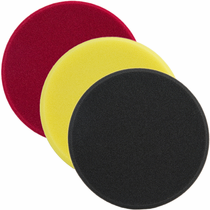 Choose ANY Three Meguiar�s 5� Foam Cutting, Polishing or Finishing Pads! 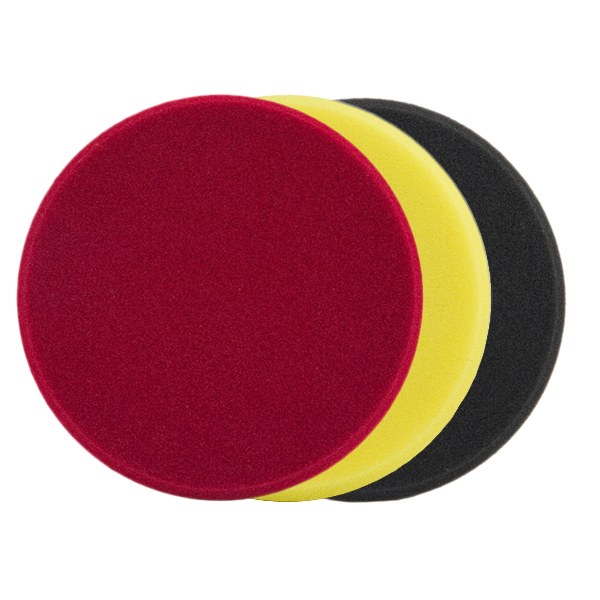 Meguiar's Soft Buff DA 5" Foam Cutting Pad: Cuts through MODERATE paint defects, scratches, swirl marks and oxidation. Meguiar's Soft Buff DA 5" Foam Polishing Pad: Removes MINOR paint defects, slight swirl and very light scratches while enhancing gloss. Meguiar's Soft Buff DA 5" Foam Finishing Pad: Apply WAX, PAINT SEALANT and GLAZE to reveal a swirl free depth and shine. 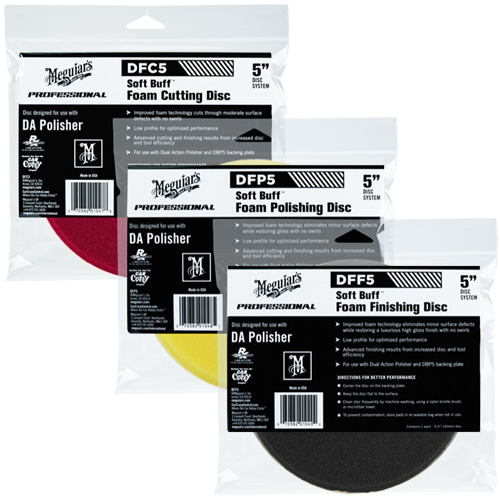 Meguiar's Soft Buff DA 5" Foam Pads feature an advanced low profile, swirl free foam technology to easily glide over level or contoured paint surfaces increasing efficiency and reducing product consumption. Meguiar's Soft Buff DA 5" Foam Pad RECOMMENDATIONS: Center Meguiar's Soft Buff DA 5" Foam Pad on Meguiar's 5" DA Backing Plate. Use appropriate polish, wax, paint sealant or glaze and keep pad flat to the surface while polishing. 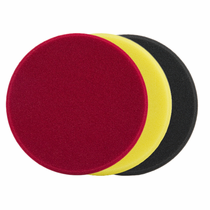 Meguiar's Soft Buff DA 5" Foam Pad CARE: Clean Meguiar's Soft Buff DA 5" Foam Pads frequently during use with a nylon bristle pad cleaning brush. After use, hand or machine wash using a mild detergent to remove polish, wax, sealant and glaze residue. Remove excess water and allow to air dry completely. To prevent contamination store in original resealable plastic bag.